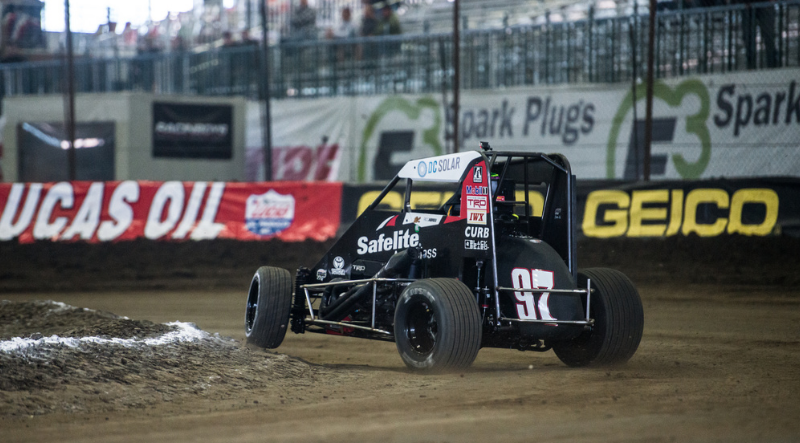 For 25 laps on Wednesday night at the Tulsa Expo Center, a huge crowd of fans held their collective breath as they waited for a slip from either Rico Abreu or Tyler Thomas at the head of the field. 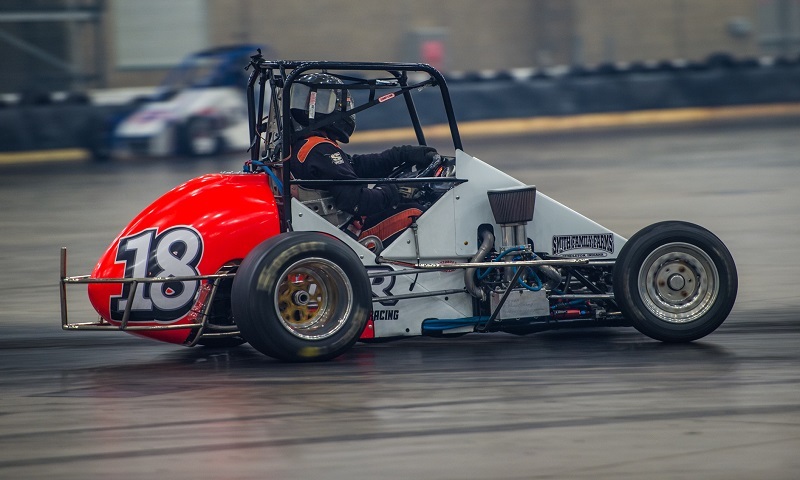 Though Travis Welpott wasn’t quite the happiest driver inside the Allen County Memorial Expo Center following Saturday’s finale to the 20th annual Rumble in Fort Wayne, it was easy to see that he was pretty close to it. 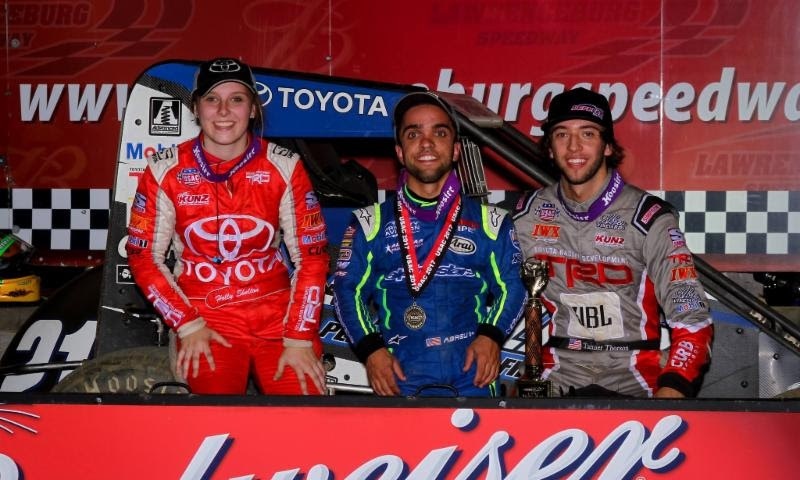 It’s a regular occurrence to see Rico Abreu at a dirt track with a smile on his face, but the trademark grin he carried was just a little bit wider during the fan autograph session for Wednesday night’s Eldora Dirt Derby at Eldora Speedway. 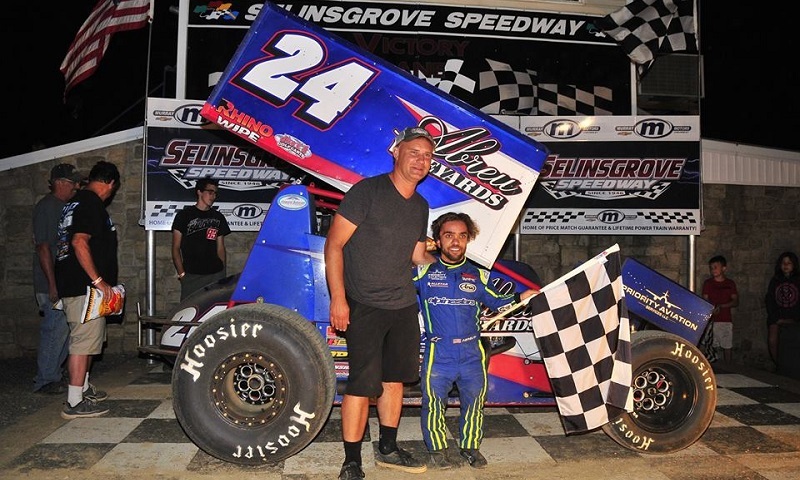 California’s Rico Abreu ran away to the victory in Sunday night’s Pennsylvania Speedweek finale at Selinsgrove Speedway, collecting the trophy in his debut at the fast half-mile. 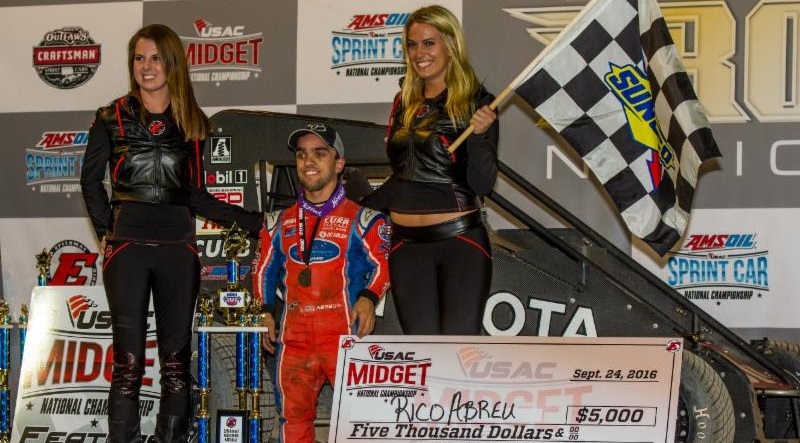 Not since 2009 had a Keith Kunz-led team gone winless through the first eight events of the USAC National Midget Series season, but that all changed on Saturday night, courtesy of Rico Abreu. 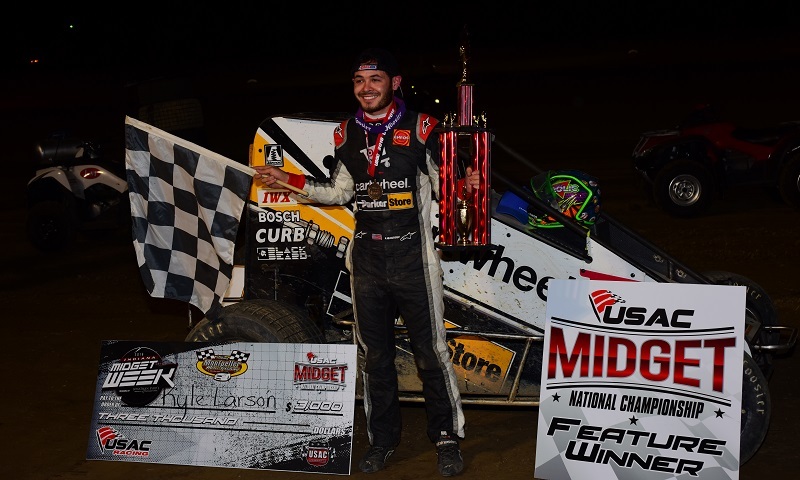 Fan-favorites Kyle Larson and Rico Abreu will join the Keith Kunz/Curb-Agajanian Motorsports team for this year’s edition of USAC Indiana Midget Week. 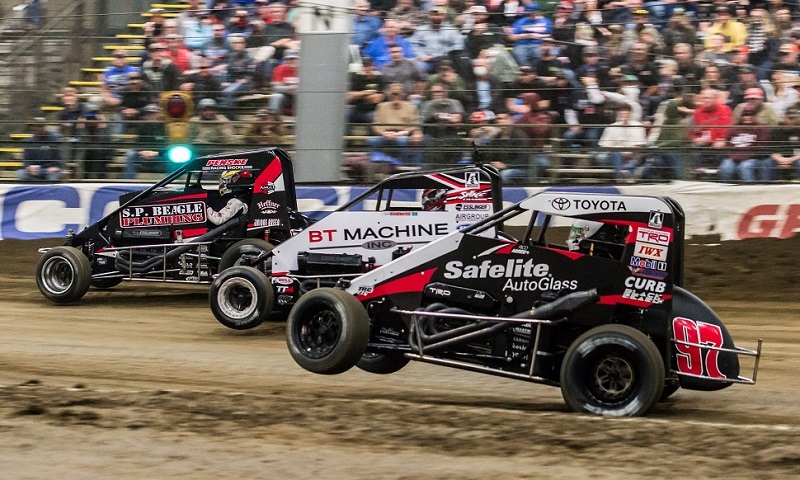 Two of the Chili Bowl’s all-time greatest champions lead a list of more than 90 drivers attempting to make the championship finale during Wednesday’s Hard Rock Casino Qualifying Night at the Tulsa Expo Center. 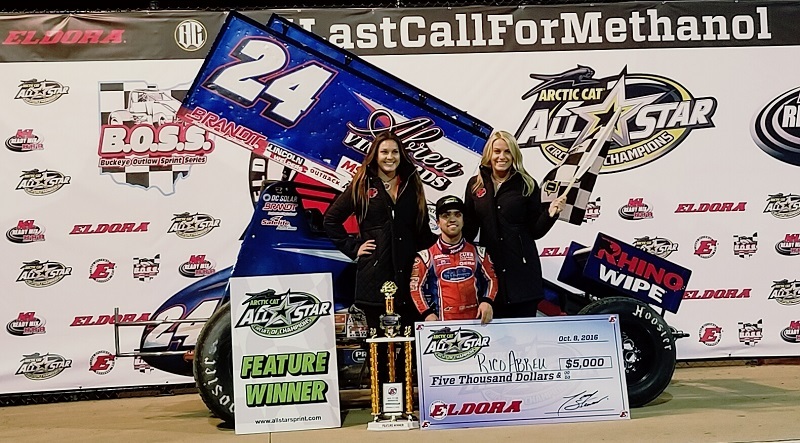 Rico Abreu secured his fourth Arctic Cat All Star Circuit of Champions victory of the season on Saturday night at Eldora Speedway, leading all 30 circuits of the non-stop Sprintacular en route to a dominating win. For the first time in his career, Rico Abreu is standing above the rest of the NASCAR Camping World Truck Series field on the speed charts. 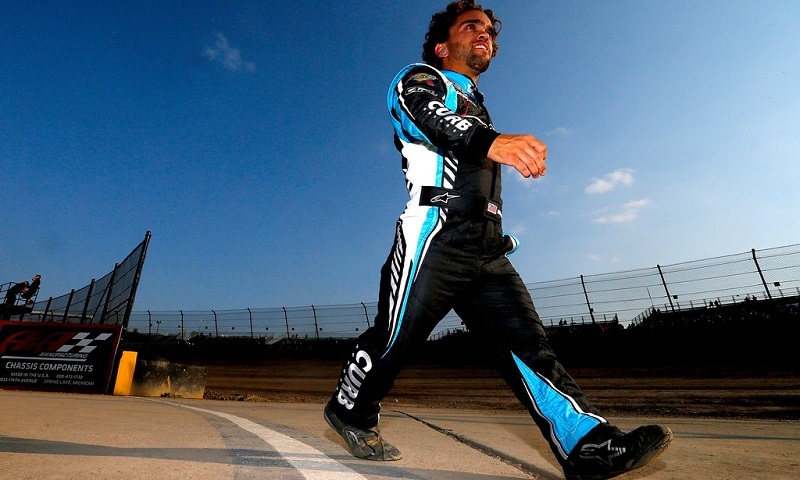 Rico Abreu arrived at Eldora Speedway Saturday evening via an airplane ride from Tony Stewart, after competing in Saturday afternoon’s NASCAR Camping World Truck Series race at New Hampshire Motor Speedway. 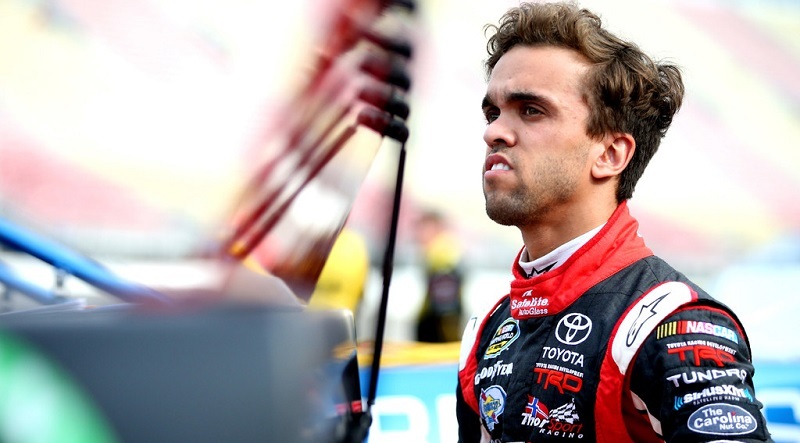 National Wiper Alliance, manufacturers of Rhino Wipe, has formed a partnership with NASCAR Camping World Truck Series drivers Ben Rhodes and Rico Abreu. 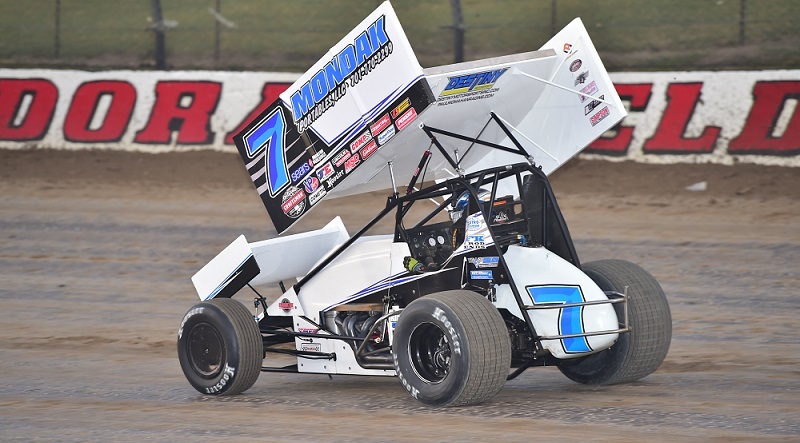 Parker Price-Miller will fill in for Paul McMahan behind the wheel of the Destiny Motorsports No. 7 sprint car, as McMahan recovers after being banged up during Saturday’s Gold Cup Race of Champions at Silver Dollar Speedway in Chico, California.